OmniPreSense Corp.’s recently unveiled radar module is capable of detecting objects 5 to 10 m away and giving electronic systems enhanced information about the world around them. 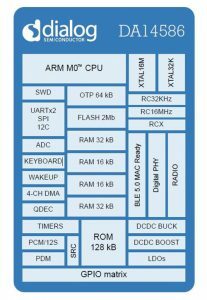 Intended for the “maker” community, the $169 OPS241-A module is capable of making any Android phone supporting USB On-the-Go (OTG) into a radar gun. The 53 mm × 59 mm OSP241-A short-range radar is capable of reporting motion, speed, and direction of objects detected in its wide field of view. You can plug it into a Raspberry Pi’s USB port to enable a variety of useful applications. An API provides direct control of the OPS241-A and allows for changes to reported units (e.g., meters/second and miles/hour), transmitted power, and other settings. Compared to PIR or ultrasonic sensors, the OPS241-A provides increased range, a wider coverage area, and immunity to noise and light, while providing enhanced information about the detected object. Potential applications range from security motion detection to a radar gun. You can plug the OPS241-A directly into an Android phone or tablet running USB OTG and terminal program to turn them into a radar gun. When mounted on a drone, the OPS241-A can detect objects 5 to 10 m away for collision avoidance. 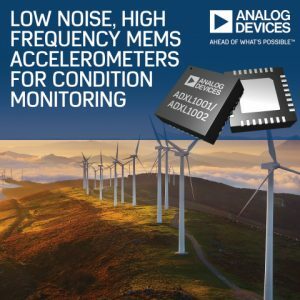 Analog Devices’s new ADXL1001 and ADXL1002 high-frequency, low-noise MEMS accelerometers are designed for industrial condition-monitoring applications. The accelerometers deliver the high-resolution vibration measurements needed for the early detection of machine failure (e.g., bearing faults). Deliver ultra-low noise density over an extended bandwidth with high-g range. Available in two models with full-scale ranges of ±100 g (ADXL1001) and ±50 g (ADXL1002). Typical noise density for the ADXL1002 is 25 μg/√Hz, with a sensitivity of 40 mV/g, and 30 μg/√Hz for ADXL1001 with sensitivity 20 mV/g. Rated for operation over a –40°C to 125°C temperature range. 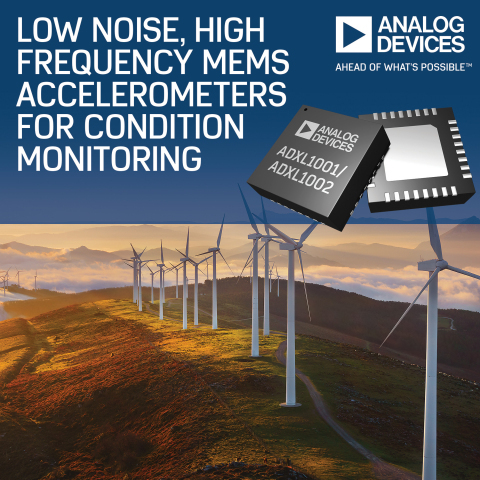 The accelerometers cost $29.61 each in 1,000-unit quantities. 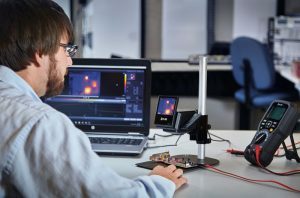 FLIR Systems recently launched the FLIR ETS320 thermal imaging solution for benchtop electronics testing. Well suited for testing and analyzing the thermal characteristics of electronic components and printed circuit boards (PCBs), the battery-powered FLIR ETS320 comprises a high-sensitivity thermal camera and an adjustable, hands-free table stand. With more than 76,000 points of temperature measurement, the rechargeable FLIR ETS320 enables you to monitor power consumption, detect hot spots, and identify potential points of failure during product development. The highly accurate camera can visualize small temperature differences so you can evaluate thermal performance, ensure environmental compatibility, and troubleshoot problems. The FLIR ETS320 ships fully assembled and ready to connect to a PC running FLIR Tools software for detailed data analysis, recording, and reporting. The integrated test stand and sliding mount design offer flexibility when imaging electronic components of various sizes. The FLIR ETS320 costs $2499 and is available through established FLIR distribution partners. Here are the answers to the four EQ problems that appeared in Circuit Cellar 322. Problem 1: Some time ago (Issue #274), we discussed how theoretical channel capacity is a function of the bandwidth and the signal-to-noise ratio of the channel. For example, an SNR of 40 dB limits the channel to 100 different symbols at best, or about 6.64 bits per symbol. It is tempting to use just the integer part of that number, and use only 64 states to encode 6 bits per symbol. But there is a way to use all 100 symbols and maximize the information bandwidth of the channel. Describe the general approach of how you’d encode binary data to be transmitted through an N-state channel. Answer 1: In the most general case, you would treat a binary (base 2) message as one giant number. In order to transmit that message through a channel that can only carry N different symbols, you would convert that number to base N and transmit the resulting digits one at a time. In practice, you would break a long data stream into fixed-length blocks and then transmit those blocks one at a time, using the above scheme, possibly adding extra error detecting and/or correcting bits to each block. Problem 2: As a specific example, a 24-dB SNR would limit a channel to no more than 15 symbols. What would be the most efficient way to stream 8-bit bytes through such a channel? Answer 2: For the specific case of 8-bit bytes through a 15-symbol channel, you might pick a block length of 20 bytes, after noticing that 1541 is 1.6586 × 1048, just a little bit larger than 2160 = 1.4615 × 1048. Each block of 20 bytes would require 41 symbols to be transmitted, achieving an efficiency of 160/41 = 3.90 bits/symbol, which is very close to the theoretical maximum of 3.91 bits/symbol that’s implied by having 15 states. Problem 3: When we talk about Kirchoff’s Voltage Law (the sum of voltages around a complete loop is zero) and Kirchoff’s Current Law (the sum of currents into a circuit node is zero), we are ignoring some important real-world effects in order to simplify circuit analysis. What are they? The fact that any circuit node of nonzero size has some capacitance (the ability to store charge) relative to the world at large. The fact that any circuit loop of nonzero size has some inductance (the ability to store energy in a magnetic field). The fact that fields propagate at a specific velocity (e.g., at the speed of light in a vacuum). Note that “parasitic” capacitances and inductances can be explicitly added to a lumped component model (where relevant) in order to bring the analysis closer to reality. However, dealing with propagation speed issues (such as transmission line effects) requires a different kind of analysis. Such effects can only be crudely approximated in a lumped-component model. 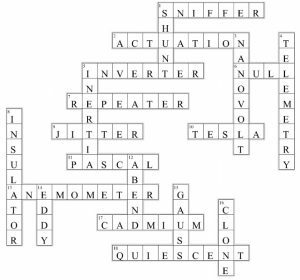 Problem 4: When doing a high-level design of a sensor-based system, it is often useful to consider exactly what the “observables” are — quantities that can be measured and acted on. For example, many people are interested in measuring the distance between portable devices based on exchanging radio messages, using a protocol such as Bluetooth or WiFi. What exactly are the observables in such a system, and how might they be used to estimate the distance between the transmitter and the receiver? The contents of a message can be used to calculate distance if the transmitter reports its own position in a mutually agreed-upon coordinate system, and the receiver also knows its own position. The time of arrival can be used to calculate distance if the time that the message was transmitted is also known. Again, you can get this from the contents of the message if the transmitter and receiver have adequately synchronized clocks. The direction of arrival can be used (assuming the receiver’s antenna is directional enough) to determine the direction of the transmitter relative to the receiver’s orientation. Measurements from multiple transmitters can establish the receiver’s position (and hence its distance) relative to those transmitters. However, this is easily confused by signal reflections in the environment (multipath). The radio signal strength can also be used to estimate distance, but it is a measurement that depends on many things besides distance that need to be accounted for, such as antenna gain and orientation (at both ends), multipath and RF absorption, transmitter power level calibration. This makes it the least useful (and least accurate) way to measure distance. 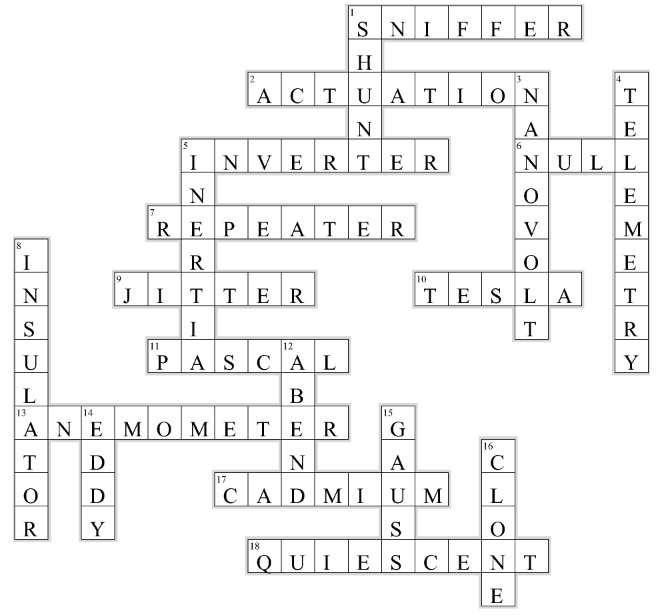 The answers to Circuit Cellar 322‘s crossword are now available. The Adaptive Robotics Lab at Fontys University in Eindhoven, Netherlands, has a high “Q” factor (think “007”). Groups of students are always working on robotics projects. Systems are constantly humming. Robots are continually moving around. Amid the melee, Circuit Cellar interviewed Professor Henk Kiela about the lab, innovations like adaptive robotics, and more. A commercial humanoid service robot needs to have capabilities to perform human-like tasks. One such task for a robot in a medical scenario would be to provide medicine to a patient. The robot would need to detect the medicine bottle and move its hand to the object to pick it up. The task of locating and picking a medicine bottle up is quite trivial for a human. What does it take to enable a robot to do the same task? This, in fact, is a challenging problem for a robot. A robot tries to make sense of its environment based on the visual information it receives from a camera. Even then, creating efficient algorithms to identify an object of interest in an image, calculating the location of the robot’s arm in space, and enabling it to pick the object up is a daunting task. For our senior capstone project at Portland State University, we researched techniques that would enable a humanoid robot to locate and identify a common object (e.g., a medicine bottle) and acquire real-time position information about the robot’s hand in order to guide it to the target object. 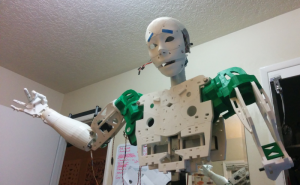 We used an InMoov open-source, 3-D humanoid robot for this project (see Photo 1). In the field of computer vision, there are two dominant approaches to this problem—one using pixel-based 2-D imagery and another using 3-D depth imagery. 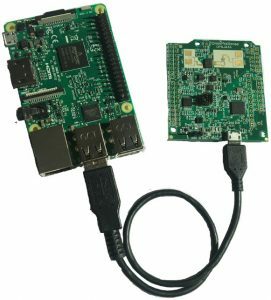 We chose the 3-D approach because of the availability of state-of-the-art open source algorithms, and because of the recent influx of cheap stereo depth cameras, like the Intel RealSense R200. Solving this problem further requires a proper combination of hardware and software along with a physical robot to implement the concept. We used an Intel Realsense R200 depth camera to collect 3-D images, and an Intel NUC with a 5th Generation Core i5 to process the 3-D image information. Likewise, for software, we used the open-source Point Cloud Library (PCL) to process 3-D point cloud data. PCL contains several state-of-the-art 3-D segmentation and recognition algorithms, which made it easier for us to compare our design with other works in the same area. Similarly, the information relating to the robot arm and object position computed using our algorithms is published to the robot via the Robot Operating System (ROS). It can then be used by other modules, such as a robot arm controller, to move the robot hand. Object segmentation is widely applied in computer vision to locate objects in an image. The basic architecture of our package, as well as many others in this field, is a sequence of processing stages—that is, a pipeline. The segmentation pipeline starts with capturing an image from a 3-D depth camera. By the last stage of the pipeline, we have obtained the location and boundary information of the objects of interest, such as the hand of the robot and the nearest grabbable object. The object segmentation pipeline of our design is shown in Figure 1. There are four main stages in our pipeline: downsampling the input raw image, using RANSAC and plane extraction algorithms, using the Euclidean Clustering technique to segment objects, and applying a bounding box to separate objects. Let’s review each one. The raw clouds coming from the camera have a resolution which is far too high for segmentation to be feasible in real time. The basic technique for solving this problem is called “voxel filtering,” which entails compressing several nearby points into a single point. In other words, all points in some specified cubical region of volume will be combined into a single point. The parameter that controls the size of this volume element is called the “leaf size.” Figure 2 shows an example of applying the voxel filter with several different leaf sizes. As the leaf size increases, the point cloud density decreases proportionally. Random sample consensus (RANSAC) is a quick method of finding mathematical models. In the case of a plane, the RANSAC method will create a virtual plane that is then rotated and translated throughout the scene, looking for the plane with the data points that fit the model (i.e., inliers). The two parameters used are the threshold distance and the number of iterations. The greater the threshold, the thicker the plane can be. The more iteration RANSAC is allowed, the greater the probability of finding the plane with the most inliers. Figure 3: The effects of varying the number of iterations of RANSAC. Notice that the plane on the left, which only used 200 iterations, was not correctly identified, while the one on the right, with 600 iterations, was correctly identified. Refer to Figure 3 to see what happens as the number of iterations is changed. The blue points represent the original data. The red points represent the plane inliers. The magenta points represent the noise (i.e., outliers) remaining after a prism extraction. As you can see, the image on the left shows how the plane of the table was not found due to RANSAC not being given enough iterations. The image on the right shows the plane being found, and the objects above the plane are properly segmented from the original data. After RANSAC and plane extraction in the segmentation pipeline, Euclidean Clustering is performed. This process takes the down-sampled point cloud—without the plane and its convex hull—and breaks it into clusters. Each cluster hopefully corresponds to one of the objects on the table. This is accomplished by first creating a kd-tree data structure, which stores the remaining points in the cloud in a way that can be searched efficiently. The cloud points are then iterated again with a radius search being performed for each point. Neighboring points within the threshold radius are then added to the current cluster and marked as processed. This continues until all points in the cloud have been marked as processed and put into different segments before the algorithm terminates. After the object segmentation and recognition has been performed, the robot knows which object to pick up, but it doesn’t know the boundaries of the object. Saroj Bardewa (saroj@pdx.edu) is pursuing an MS in Electrical and Computer Engineering at Portland State University, where he earned a BS in Computer Engineering in June 2016. His interests include computer architecture, computer vision, machine learning, and robotics. Sean Hendrickson (hsean@pdx.edu) is a senior studying Computer Engineering at Portland State University. His interests include computer vision and machine learning. This complete article appears in Circuit Cellar 320 (March 2017). 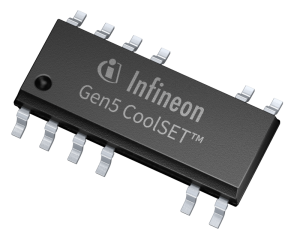 Infineon Technologies recently announced the fifth generation of its stand-alone quasi-resonant flyback controller and integrated power IC CoolSET family. This generation offers more efficiency, faster startup, and improved overall performance. The new ICs are especially designed for AC/DC switch mode power supplies in a wide variety of applications. The latest 700- and 800-V CoolMOS P7 families are integrated with a fifth-generation controller in a single package. The cascode configuration for the high-voltage MOSFET in combination with the internal current regulator provides fast startup performance. Light load performance is optimized through an Active Burst Mode (ABM) with selectable entry/exit thresholds. Furthermore, the device incorporates new algorithms that minimize the switching frequency spread between different line conditions. It also simplifies EMI filter design. Device protection includes input over-voltage protection, brown in/out, pin short to ground, and over-temperature protection with hysteresis. All protection features are implemented with auto-restart to minimize any interruption to operation. The complete fifth generation quasi-resonant controller and CoolSET product portfolio will be available starting in May 2017. The controller comes in an SMD package (DSO-8). The CoolSET comes in both SMD (DSO-12) and through-hole (DIP-7) packages. Mouser Electronics recently launched FORTE, an intelligent bill of materials (BOM) management tool intended to save time and improve order accuracy in specifying and purchasing electronic components. Free to Mouser account holders, FORTE offers access to more than 4 million part numbers and it quickly validates part numbers, product availability, and price. Remembers users’ preferences, spreadsheet layouts, naming conventions, and previous product orders. Supports most common file formats, real-time product pricing and availability, and easy purchasing directly from the BOM. Dialog Semiconductor recently announced the next generation in its SmartBond family. 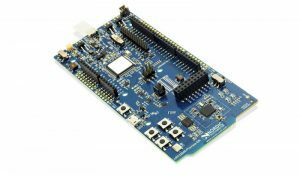 The DA14586 SoC is the company’s first standalone device qualified to support the latest Bluetooth 5.0 specification. 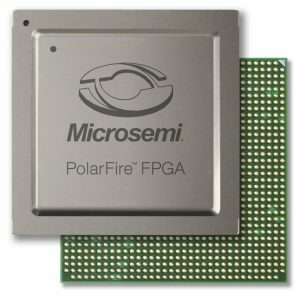 It delivers the lowest power consumption and unrivaled functionality for advanced use cases. Enhancements include an advanced power management setup with both buck and boost converters, which enable support of most primary cell battery types. 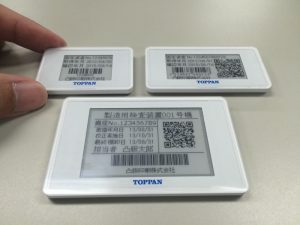 Double the memory of its predecessor for user applications, making it ideal for adding Bluetooth low energy to proximity tags, beacons, connected medical devices, and smart home applications. Advanced features allow for mesh-based networked applications to be simply supported. Supported by a complete development environment and Dialog’s SmartSnippets software to help engineers optimize software for power consumption.